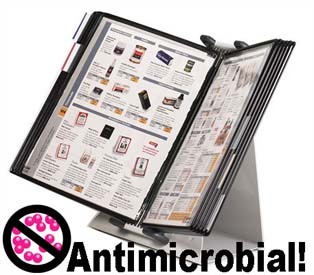 Click for larger image Antimicrobial Desktop Organizer provides the flexible solution to organize, protect and display reference documents. © Copyright 2012 - 2013 Directly Yours, Inc. Directly Yours is an authorized reseller of the complete line of Tarifold organizers. Tarifold is a registered trademark of Tarifold S.A.